How Truly Global is Your Midmarket ERP System? Hardly any company today can grow its business by focusing on a single domestic market. Lots of anecdotes provide evidence of globally conducted businesses growing faster than those oriented mostly in local markets. As the internet has transformed the world into a global village, why on earth (pun intended) wouldn’t a company seek to expand its opportunities and market its products and services worldwide? But is your enterprise resource planning (ERP) software system capable of handling your coveted global business? Your international business requires ERP software capabilities that go well beyond just how many languages and currencies the system can support. Business growth means continuous change, evolution, discipline, focus, risk and sharing. As such, international expansion is associated with intra-company framework establishment (transactions and tallies between the subsidiaries and divisions) and financial reconciliation, regional revenue recognition compliance and localized financial report generation, foreign exchange management, local product support and service team establishment and management, and more (see figure 1). Further burdening global businesses are the growing regulatory changes, accompanying compliance risks and financial penalties, as well as more frequent system-based tax audits. Around the globe, indirect tax requirements continue to change frequently, as governments regularly change tax rates and laws in an effort to balance their budgets. Yet the compliance responsibility is a major hidden cost of business operations. Mismanagement of local indirect (sales, value-added, etc.) tax management processes and generation of improper financial reports can result in hefty penalties and interest charges. So, as an aspiring growing small or midsize company, what modern cloud ERP software system should you select? Selecting a tier-one cloud ERP system from SAP or Oracle would not be a prudent option at this stage, despite the out-of-the-box global capabilities of these systems. On the other hand, selecting an entry-level local ERP solution such as Intuit QuickBooks, Xero, or some local Sage ERP product wouldn’t be a better option. This is because these local systems typically support only a few languages, let alone global capabilities, and will likely be outgrown sooner rather than later. What Could Be a Viable Solution? A wise option here would be to look for a modern and flexible cloud ERP solution that could allow smaller companies to operate like their global counterparts, and vice versa—let global companies be as nimble as their smaller counterparts. The ideal system would be one that would contain all of those global capabilities in a single instance. While global ERP software products exist, both in the cloud and on premise, their localizations in many regions are not delivered in a single software instance. This situation is not ideal due to future upgrade issues—when all those localizations need to be repeatedly synched up (and re-integrated) with the new central ERP version. 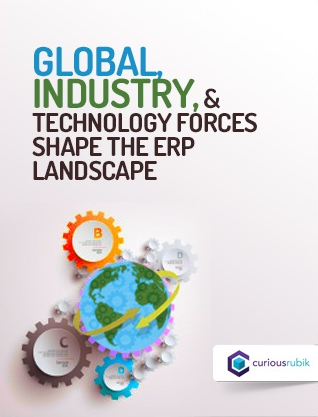 NetSuite appears to be trailblazing through the global cloud ERP market, for several reasons. For one, from its very beginnings in the late 1990s, the vendor has strived to provide a global single cloud ERP instance. In addition, Oracle, the global parent company, has helped NetSuite open new data centers and new direct offices (currently in 30 countries for NetSuite, and many more for Oracle), and find reliable localization partners where needed. Outside of the domestic North American market, in the large market countries deemed critical—that is, China, Germany, Brazil, France, India, Mexico, and Japan—NetSuite offers the “Local to the Core” approach. Here the vendor offers companies a local product, a local experience, and a local support team. For example, in China, global NetSuite customers have financial statements for the Chinese subsidiary, and can add new filter criteria, such as produce the account balance report, use the China general or subsidiary ledger, use the cash and bank account journal ledger, and manage value-added tax (VAT) invoices. Companies can also merge output VAT invoices; in China, there is a VAT e-invoice interface with the Golden Tax System. Soon, these customers will be able to manually split the output VAT invoice, and have an electronic payment file, bank connectivity, and a direct connection with the Golden Tax System. For second-tier countries, NetSuite offers “localized” versions typically via certified partners. These versions allow customers to solve local tax calculations, tax reporting, business processes, and integration needs in NetSuite. Customers may require a small number of adjustments with local Generally Acceptable Accounting Practices (GAAP), with some manual calculations and posting of adjustments in journals. Last but not the least, for smaller yet important markets, NetSuite offers the “OneWorld Ready” approach that allows companies to support subsidiaries in those target countries. Local adjustments to GAAP may be calculated manually or may be done outside of NetSuite, while standard reports may be modified as needed. This setup enables standardized workflows across all international operations, with tax calculations made as part of standard business processes. Data entry is validated via internal standards and centrally defined configurable approval processes, with the exception of reporting. Trust But Verify! Pay Attention to What? To be fair, Microsoft Dynamics 365 is also a true cloud ERP product backed by a global gigantic parent. But, it is still a nascent product—a recent cloud rewrite of its older ERP brethren, like former Axapta. It is likely not delivered as a single instance across the globe yet. In addition, Microsoft’s focus on ERP is dubious, given the giant’s larger-picture strategy that encompasses other types of software products (i.e., Microsoft Azure and Microsoft Office 365). SAP’s S/4HANA Cloud is also a nascent product. 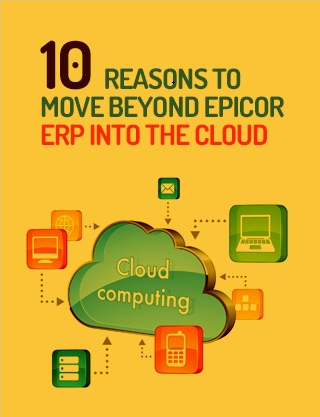 Other competitors include Acumatica, a noteworthy company with a pure cloud ERP product with international coverage, and Epicor, with its Epicor ERP 10 solution. But these two ERP vendors have a much smaller wherewithal than does Oracle NetSuite. Are the vendors accredited by multiple bodies including the American Institute of CPAs (AICPA), the Institute of Chartered Accountants in England and Wales (ICAEW), and more? Are the vendors certified in Germany under the Institute of Public Auditors (IDW) Auditing STandards (AuS 880) and Generally Accepted German Accounting Principles (GoBS)? Are they Japanese J-GAAP compliant? And are they compliant in other countries? Do the vendors provide support for indirect tax engine with respect to automatic calculation of Canadian HST, Mexican IVA, German Mwst, Philippines VAT, Australian GST, China Golden Tax VAT, and more? Do the vendors provide support for electronic payment processing of the payments or direct debits into each local bank's predefined file format? Local payroll support would also go a long way toward easing the burden of running a global business. The keyword here is “a single instance,” with the preconfiguration of all the tax and intra-company relationships, such that any size company can operate globally. A single cloud ERP instance setup eliminates re-keying of transactional or tax data, thus avoiding common errors and traceability gaps found in traditional patched-up localized solutions.